Smugglers' is the perfect place for your meetings or special event! The combined level of staff, amenities, and ease of choice allows the preparation for your special event to be hassle-free with every detail masterfully coordinated. Our wedding packages offers breathtaking mountain views, large reception facilities capable of handling up to 300 guests, and a staff that is anxious to accommodate every detail you want included for this special occasion. 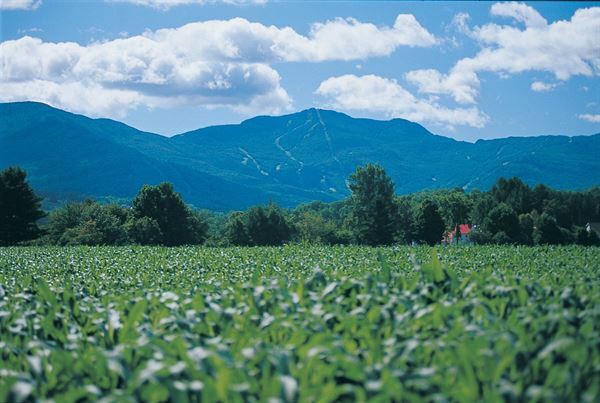 Our resort has also partnered with The Barn at Boyden Farm, Barn at Smugglers' Notch, and The Mansfield Barn. Working together allows our Resort to accommodate large receptions during the Summer and Fall. The Resort Shuttle is available, so everyone can have a great time and parking is never an issue. The Community Sailing Center is a lively hub on the shores of Lake Champlain, less than a mile from downtown Burlington, VT, where community members and visitors gather to laugh, learn, and play on the lake together. The CSC was founded in 1994 as a place for the community to connect with the lake and each other, where sailing and paddling are tools that enrich people’s lives, teach valuable life lessons, offer a unique educational experience, and instill a sense of ownership in one of Vermont’s most valuable natural resources - Lake Champlain. In 2017, the Community Sailing Center completed construction of the first new building on the Burlington Waterfront in over 20 years. Starting in 2018, this beautiful new facility is available to the community to rent for gatherings and events. Be one of the first to celebrate your special occasion in this purpose-built, Net Zero building and support our mission to provide lake access, recreation, and education for all. 4 multi-use spaces available to rent for concerts, weddings, parties, classes, meetings, dances. Capacity of 250 people. Dance floor, sound, lights, kitchen, free parking, accessible. Smaller rooms available for rehearsals, private lessons, smaller classes. Have your wedding or other event on our grounds, conveniently located in Williston, VT, minutes from I-89 Exit 11. Setting features a restored Chittenden 1790s colonial house,16 acres of open space, gardens, picnic area and parking. We would love to be the host of your wedding, baby shower, anniversary party, birthday party, celebration of life event, and more. We look forward to meeting you soon. Spare Time is the region’s premier family entertainment center featuring 36 lanes of bowling, a full service restaurant and sports bar, catering services for in-house events, a game zone with over 50 of the industry’s most popular games, and a state-of-the-art, 2-level laser tag arena. Spare Time Entertainment offers two types of event spaces: A lanes party to include bowling and catering services or a party in our Sky Box function room, which features a full service bar, stone fireplace, rectangular tables, and accommodates up to 65 guests with a 25-person minimum. We offer 3-hour appetizer and cocktail events in the Sky Box as well as full dinner buffets or 3-course plated sit-down dinners. Conveniently located in Colchester, Vermont, Spare Time is just off exit 16 of Interstate 89 near Costco, four miles north of Burlington. Visit us online at sparetimecolchester.com. Originally built as a vaudeville theatre, the Strand Center Theatre dates back to 1924 and is on the National Register of Historic Places. Inside the Theatre is a mezzanine room with bar, easily usable for a meeting or reception prior a concert. We have an Arts Gallery space in our Arts Center that can hold 80 for dinner and 150 without tables. If you are interested in using the Strand Center Theatre for a special event, wedding, performance, speaking engagement or group event, please complete our STRAND CENTER THEATRE FACILITIES REQUEST FORM on our website.